we will add it next week. I'm looking for IMR26650 4200mAh(higher power),EVVA or keeppower is ok.
I’m looking for IMR26650 4200mAh(higher power),EVVA or keeppower is ok. Some prefer higher capacity while others prefer higher discharge. I believe your source have both (may be using Vappower cell). Solarstorm SC01 XM-L2 (make sure not sending wrong led). 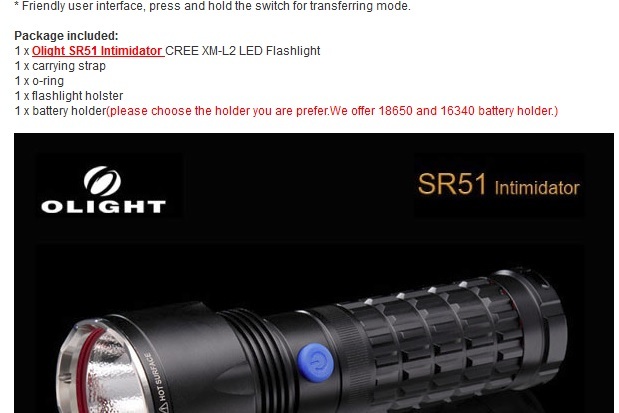 Olight A3T (prepare stock properly). Can you also add the Panasonic PF 2900mAh in your deals? A lot of suggestions coming up and I think BG should take the most popular option. As much as I’d like my suggestion discounted, it’s all about the greater good! can you give us the world? I can't, but I can give u a flashlight to light up the world. Your link directs to an ebay auction. 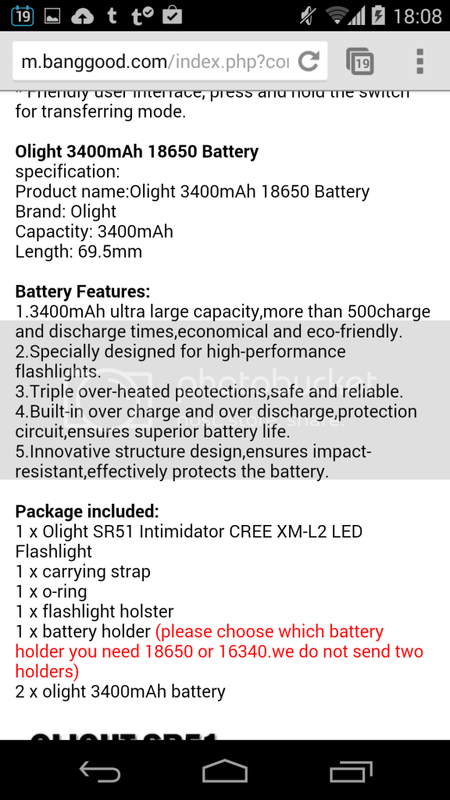 Also, bg’s has 3400 mah batteries & xml2 too. Not showing in any of the links BG posted. i like the standard one with aluminum box is it same price $49? Maybe someone need this one for hunting. It with 1 bright LED and comes with a clip, which can easy to carry. Pls tell me the next deal. Maybe the battery tube extension too. i just send out one to unkown00100, will after a good review, then make a deal better?